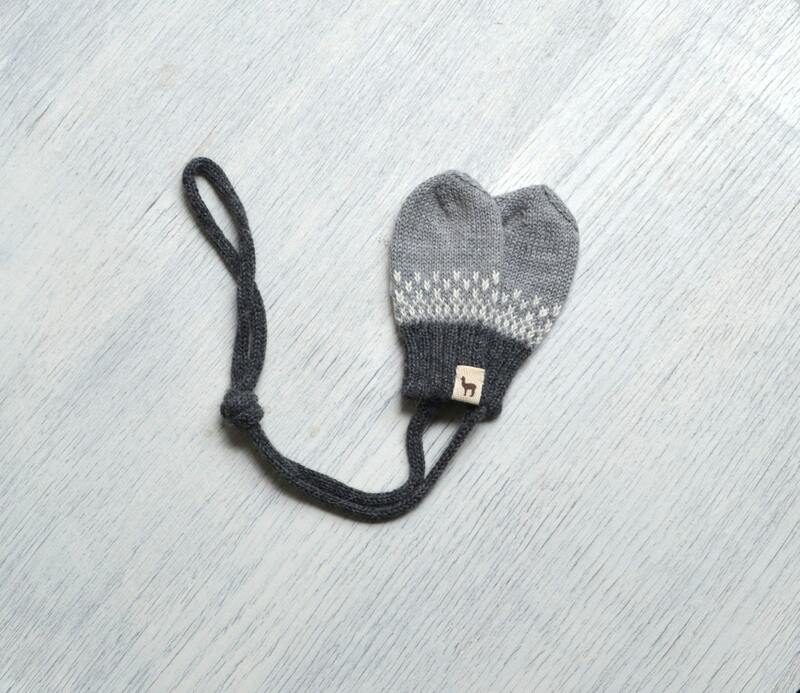 Cute finger-less baby mittens are knitted to keep your baby's hand warm and snug during cool season. It is a perfect baby shower gift along with matching baby caps. Knitted in beautiful jacquard pattern and has a other colors, please convo us. Please contact if you'd like another color composition. • Warmth. Alpaca fleece is unique in that it consists of hollow cells. It demonstrates perfect insulating properties: alpaca fiber is ideal in cold weather conditions, and protects the child’s body from overheating when it is warm. • Moisture resistance. Alpaca wool is naturally breathable and does not accumulate moisture (unlike many other fibers), and allows body moisture (perspiration) to evaporate. • Softness. Baby alpaca is attributed to the most luxurious and soft fibers, such as cashmere. • Does not cause allergies. Unlike sheep’s wool, Alpaca wool does not contain lanolin which accumulates dust and microscopic allergens. As a result, alpaca wool does not cause allergies and is suitable for baby clothing. • Lightweight. Dressed in alpaca wool babies will feel warm and comfortable. • Durability. This type of wool is one of the most elastic and matting resistant of all the known kinds of wool, therefore these clothes can be used not only with your present child, but also for any future children. • Eco friendly. Apart from the natural origin of wool, this fiber does not need any special treatment. It is naturally soft and lanolin free, which is usually removed from sheep’s wool using various chemical methods. • Stain resistance. Wool is naturally stain resistant which means you won’t have to wash as often.